No idea what that ad says, but that’s a really disturbing picture. Bonamine is a motion sickness pill. 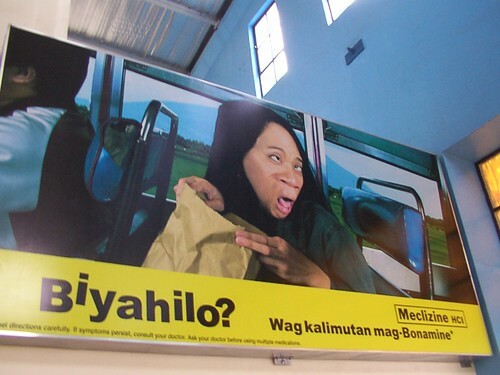 Their tag line is “biyahilo” which means..well, motion sickness.